Blood transfusion is needed by patients with certain conditions such as severe bleeding, either due to accident or miscarriage in pregnant women, as well as in patients with chronic diseases such as anemia and thalassemia and other cases. 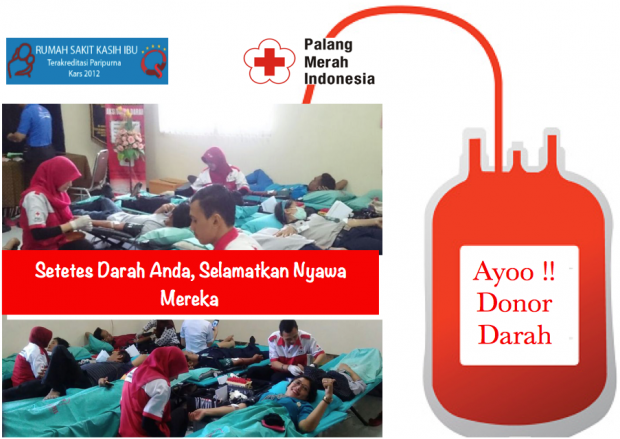 But sometimes the availability of blood in the Indonesian Red Cross (PMI) is often limited to even less. Let our colleagues all join us in the blood donation activities at Kasih Ibu Hospital because our drop of blood is very meaningful for the lives of those in need.